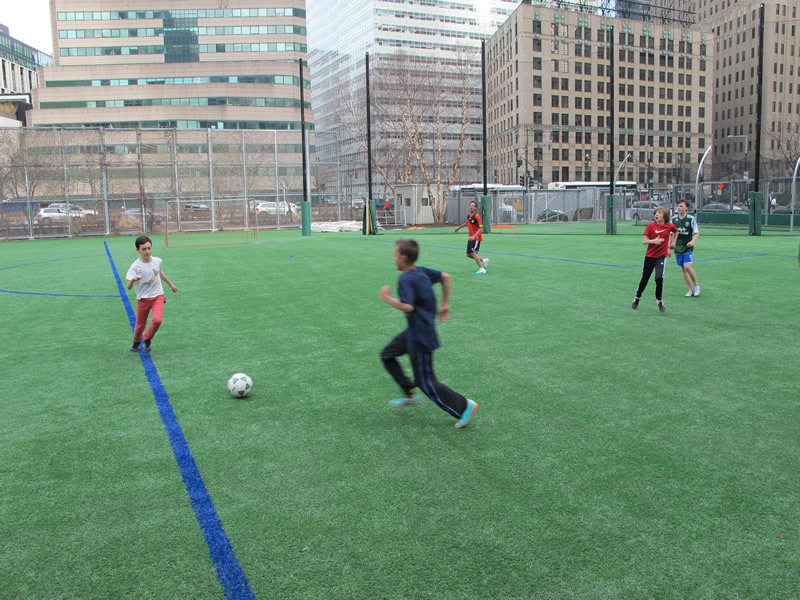 When Sandy took New York City, many places were ruined—including the multi-sport Astro Turf fields in Battery Park City. But now, over five months later, the fields have been completely restored through an aggressive team effort. 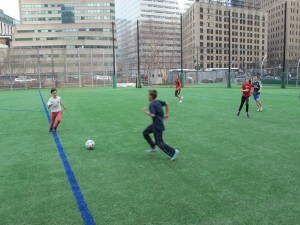 The Battery Park City Authority’s new playing fields. The fields, which enjoyed a grand opening last week, provide 83,500 square feet of playing surface and required about 750,000 pounds of Astro Turf infill to complete. Nearly a hundred people turned out in the first hour the fields were re-opened to enjoy some free playtime and feel out the newly completed fields. The opening also attracted news stations like NY1, which ran a news story special on their completion and informed viewers of the free play period. The Battery Park City Authority is a New York State public benefit corporation that aims to keep its designated section of Manhattan up-to-date, innovative in design, and balanced between public, private, business, and residential space. Seven unpaid board members appointed by the governor manage its operation. Currently those board members include Donald Capoccia and Carl Mattone, both leaders in the real estate industry. “Open to All” free play took place at the new fields on Thursday and Friday, April 4th-5th, while the Downtown Little League season began on Saturday morning following the annual parade from City Hall to the fields.